MINNIE: Wow! It's just like the rodeo roundup I wanted! 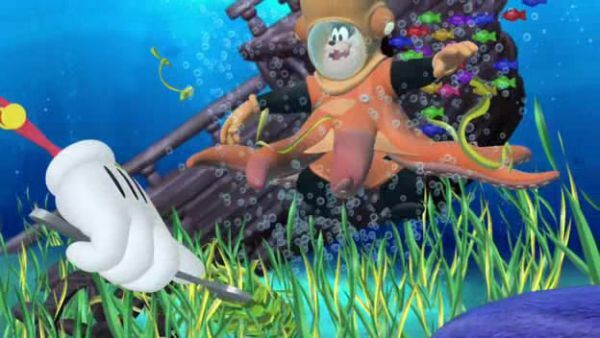 I love the underwater range where the cow-cod and the seahorses play. It's peaceful and homely, just like the Clubhouse only. It's wetter most every day! BEEPER: Ping-ping! Warning! Ping-ping! Warning! MINNIE: Uh-oh! 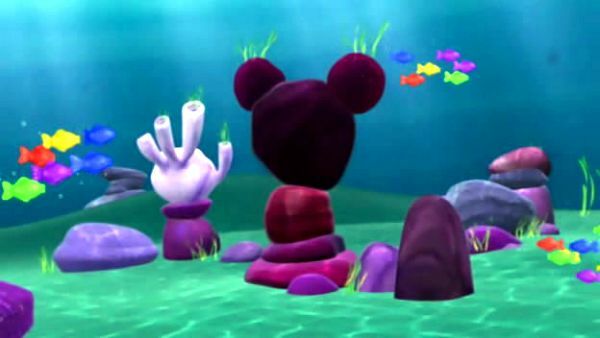 Captain Mickey, what is it? 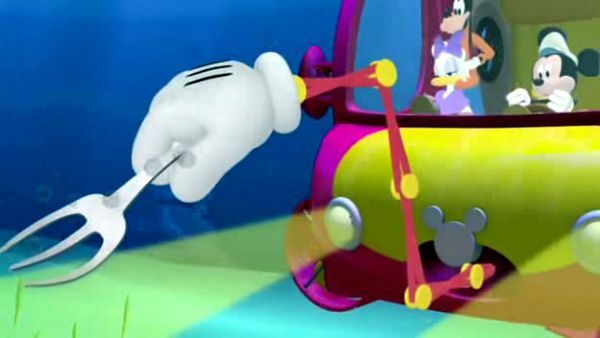 and the mystery Mouseketool. 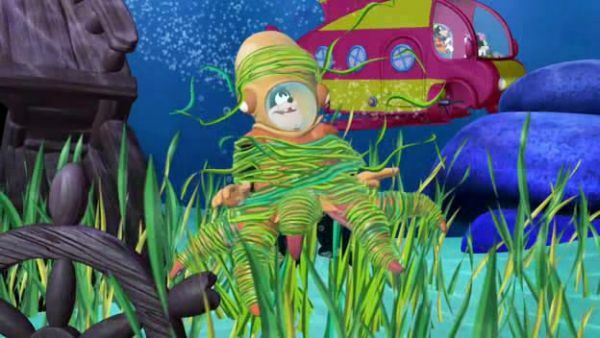 What could we use to get octo-Pete out of the seaweed? 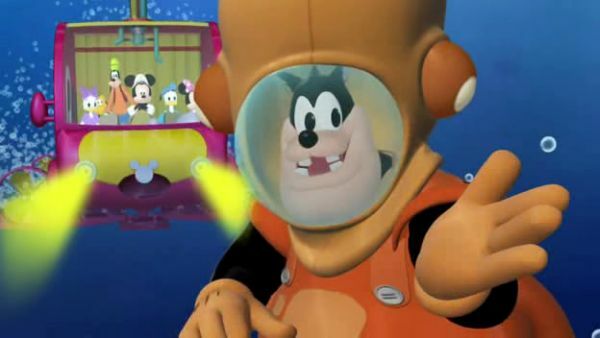 GOOFY: How about the giant fork? Maybe we can use it to roll up the seaweed like spaghetti! 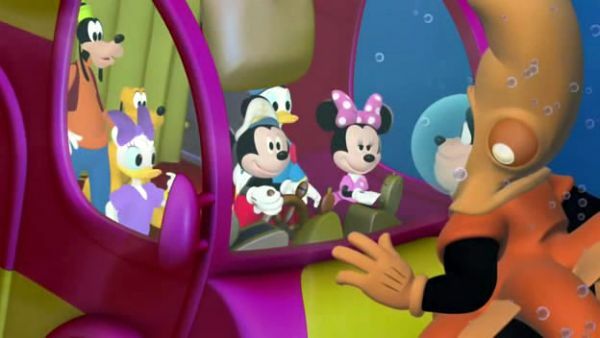 MICKEY MOUSE: We've got ears, say cheers! PETE: Pasta fazool! I asked for a helping hand and I got one! Oh gee, I don't know what to say! MICKEY MOUSE: Aw, don't mention it! Well, we'll be on our way now. Wait just a second. You know, you helped me, so now I want to help you. ALL: Huh? PETE: I know what's at the bottom of the lake, but I didn't want you to find it. MINNIE: You didn't? Oh! That's not very nice, octo-Pete. PETE: I know. And I'm sorry, little lady. 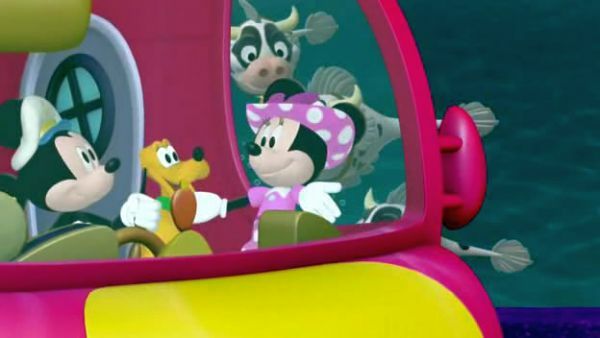 I was being kind of, uh... MINNIE: Selfish? PETE: Yeah, that's the word. But I don't want to be selfish anymore. How's about we all go check out the big something together? MICKEY MOUSE: Let's do it! 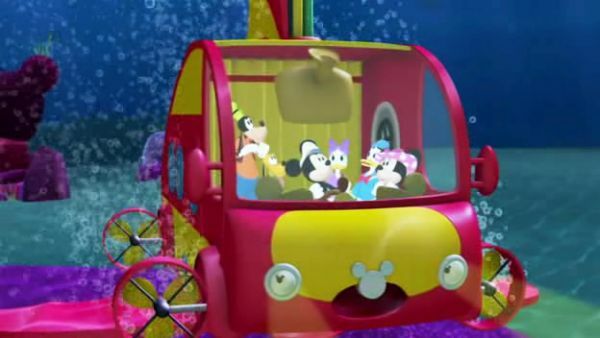 PETE: Here we are, sea Captain Mickey, the bottom of Mickey Lake. And there's what you've been lookin' for!